Home BUSINESS MTAANI Terrified shoppers, tenants run for dear lives as Ananas Mall ‘catches fire’. Terrified shoppers, tenants run for dear lives as Ananas Mall ‘catches fire’. A section of Ananas Shopping Mall in Thika's Makongeni area. A fire drill at Ananas Shopping Mall along the busy Garissa Road, Thika caught shoppers, business owners and Makongeni residents unawares with many mistaking the activity for a real incident. Tuesday morning, terrified members of public milled around the mall at least to catch a glimpse of the fire that ‘had engulfed’ the busy business centre after the Kiambu County Fire Fighting Trucks and Kenya Police Vehicle rushed to the premises. 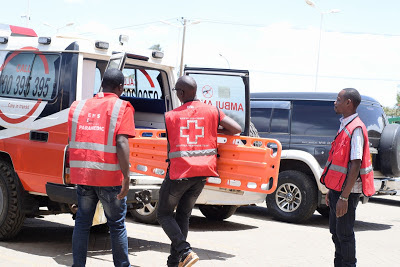 Kenya Red Cross Emergency Response Ambulance raced through Garissa Road to the scene to check on their response as a few shoppers and business owners residents scampered for safety. The area, which usually experiences traffic jams, was immediately cleared off for the ‘emergency’. Grief stricken tenants and those working near the scene could be seen running helter-skelter with others rushing back to their stores perhaps to secure their properties from the ‘fire incident’. At least one 'victim' of the fire who was ‘rushed to hospital' in an ambulance while others received first aid. Officials at the scene said the incident was meant to test the mall's preparedness and alertness in the event of a fire incident. Speaking to the press after the drill, Senaca East Africa Limited Micheal Ruto who was in charge of the emergency team, acknowledged an "85 per cent response success" to the disaster adding that they would stage similar drills to ensure shoppers and tenants knew what to do in cases of emergency. A shopper at one of the leading supermarkets expressed his amazement on how the exercise was conducted. Kenya Red Cross- Thika Branch personnel winding the emergency drill exercise. “It was good learning process however many Kenyans always take such exercises for granted until when a disaster befalls them,” he said. However, some of those interviewed were unappreciative of the initiative saying that it was wrong to scare people for no apparent reason. “If they keep mocking such calamities, what will happen when real disasters come? People might assume it and end up in trouble,” said one man. 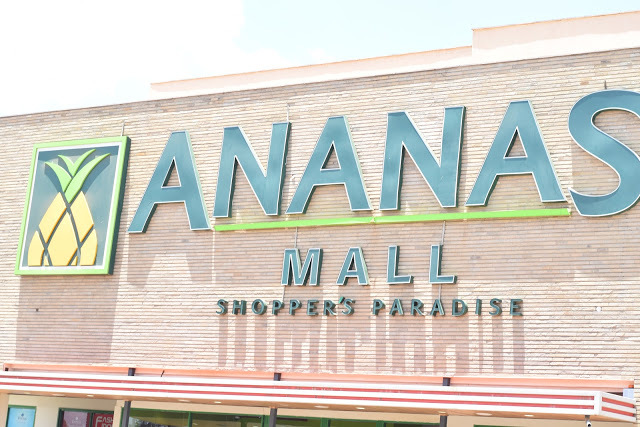 Senaca East Africa Limited are the official security service providers for the Ananas Shopping Mall. Among those involved in the exercise included the Kenya Police, Kenya Red Cross, Kenya Power, G4S, Kiambu County Fire Rescue, Ananas Shopping Mall Management team and volunteers. According to the factories and other places of work act of 2007 Cap 514 23 (1), every occupier of a work place is required to conduct fire drills at least once in every period of twelve months and keeping records of every drill.